Last week I heard Tanni Grey-Thompson talking about access for Disabled people at airports. Those airport stairs are steep and hard work for lots of people never mind those who can’t walk. She commented that ‘lots of people seemed to be using the special assistance service’ now who ‘didn’t really need it’, to effectively queue jump. I waited for a twitter outrage – there was none. Does everyone think that people are pretending to be Disabled to queue jump? I wondered does she just mean that lots of people with hidden impairments, who are failing to wear a placard around their necks, are daring to identify as Disabled people and benefit from the services put there to support them? I imagined her being refused access to special assistance on the basis that she is an Olympic athlete. She looks like she has got strong arms and could shimmy up those handrails no problem. The first time I flew after becoming a Disabled person it never occurred to me to use special assistance as I could actually walk, although I did still use a wheelchair sometimes I knew that once I got to where I was going I could pace myself, rest plenty and not get too tired. I learnt within about 5 minutes of the departure gate being announced that the airport was too big. I couldn’t walk that fast, the effort to do so made me cry with exhaustion and to make matters worse when I got to the gate there was a long queue. I sat on the floor and waited for it to go down. A year later in Rome, having got to Italy without any problem, the special assistance people looked at me, checked my ticket and refused to help. They went back to playing pushing each other round in the airport wheelchairs that I wasn’t allowed to sit in, taking pictures of each other and having a laugh. I tried to insist that I was a Disabled person (they were certainly making me feel it) but they carried on messing about. Whenever I have been in the special assistance area of an airport the passengers are a mixed bunch, mainly older people with a few like me looking fine, but waiting for help none the less. I am relieved that I don’t have to describe what is wrong with me to get their help. It means that I can still go places and pollute the atmosphere with a trip to Poland every year like anyone else! I think that Mrs Grey-Thompson should think about what she is saying. She went on in the interview to talk about the needs of wheelchair users as if ‘Disabled people’ and ‘wheelchair users’ are one and the same. I always had a big question mark about Disabled Olympians as role models for the rest of us. The way impairments are characterized in the different ability classes is highly offensive to me. I think she would grade anyone like me in the ‘not Disabled’ class. Bah. I just won’t ask a fit looking wheelchair user for help either and I am not going back to Rome airport ever again. The author of this article raises an important issue regarding the difficulties some people with hidden impairments can experience – and her own experience, described here, is clear evidence of that. We also know she is far from alone – many of the members of our Hidden Impairments’ Group have experienced discrimination, by both Disabled and not-yet Disabled people, because their impairment[s] is not visible. As she says, she doesn’t know whether Tanni Grey-Thompson’s views were based on who “looked disabled” or upon more reliable data. However, there is no doubt that Disabled people who have ‘invisible’ impairments are the majority – yet most of the population still doesn’t appreciate this fact. So, if you are due to fly, will need assistance and don’t want to have a similar experience to the one described here, make sure you book the assistance you need in advance. What is dubbed autism awareness week will commence between the 26th of March and the 2nd of April, with April itself credited as an autism awareness month. Organisations such as the National Autistic Society are marking the occasion. Yet, while we take the time to celebrate our identity, we autistics will need to consider the challenges we face as a community. We will also need to deal with the problems we face in education and employment. A 2016 study by the National Autistic Society stated that only 16% of autistics were in employment in the United Kingdom. Access to welfare also poses its own challenge as benefits such as PIP (the Personal Independence Payment), as those with hidden disabilities face a particular barrier in applying for their welfare. These barriers are not due to our autism, but rather due to a failure by neurotypicals to accept our access needs and due to ableist discrimination. We face stigma by that which instead of trying to understand us would demonise us, as too noted with the anti-vaccination’s movement rhetoric which sets a preference to have dead children rather than healthy living autistic children. Our fellow autistics in America are all too familiar with the hate group that calls itself Autism Speaks, which uses the language of ‘autism awareness’ to promote a discriminative image of autistics, comparing us to cancer. They portray autistic adults and children not as humans but as burdens on society. In the United Kingdom there have been attempts to use “treatments” such as MME (essentially bleach) that are dangerous to autistic folks. There are also mistreatments among services; the National Autism Society has itself proved to be a liability, with the abuse found at the care home they ran in Somerset. Our human rights, as the United Nations notes, have been violated. We also face failures in workplaces and other spaces to adjust to our needs, instead focusing on having us ‘act normal’ rather than accept who we are. It is critical that the voices of autistic activists are raised against this tide of discrimination against us. This can be a time of reclaiming. Autism rights advocacy has moved to take April as autism acceptance month. We must ensure that anything about us is not just with us, but by us. To quote the motto of the Disabled People’s Movement, among which is the American based Autistic Self Advocacy Network: “nothing about us without us!” Let us henceforth champion a move away from mere awareness, ‘the about us without us,’ towards acceptance; the of us, by us. This should be a time for autistics by autistics, not about autistics by allistics AKA non-autistics. We need to raise against our marginalisation, for we must and will stand for our rights. To my fellow autistics: Let us come together in showing our discontent towards that which marginalises us and campaign for the rights of we and our fellow disabled folks. To the neutrotypicals reading this: this is our time to speak, not simply to be spoken of. If you wish to ally with us, then we will welcome you as long you do not come in as a “saviour” to speak for us for then you would be hindering us. Autistic people can speak for themselves and we will want you to listen to us. As a consideration, I would suggest to both my fellow autistics and our allies to read Kit Albrecht’s guide to understand how we move towards a campaign of acceptance. Together we can stand with our fellow Disabled people for our rights and the rights of all. Disability rights champions a prideful defiance against a society that chooses to marginalise disabled folk at their peril; autistics have their part to play in this boldness. Do you have a long-term health condition but do not ‘look disabled’? 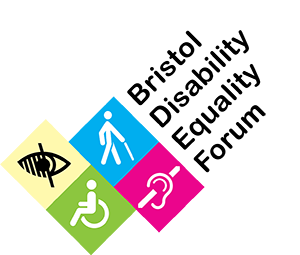 If soyou are invited to a workshop on 27th February 2018 to discuss our Access Needs and what we are going to do to improve the situation for ourselves and other Disabled people. Room LT1, 3.30-5.30pm. Fully Accessible Venue. Nice refreshments! Click here to register or ring the office on 0117 914 0528 or turn up on the day to take part. FREE.